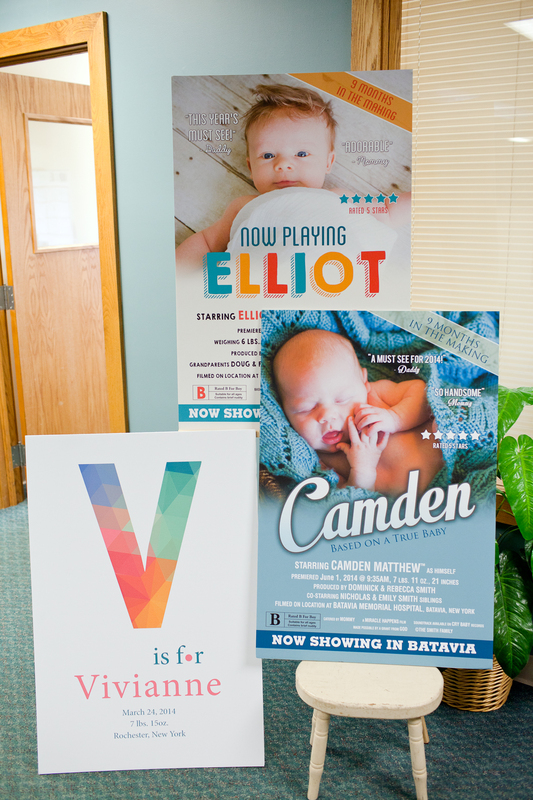 How cute are these movie and alphabet themed posters announcing baby’s arrival? 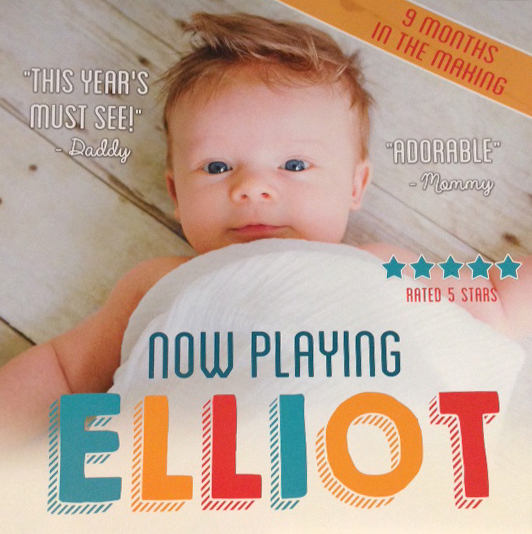 Using inspiration from real movie posters, we can take baby’s photo and design a movie poster. Perfect for a nursery or media room. 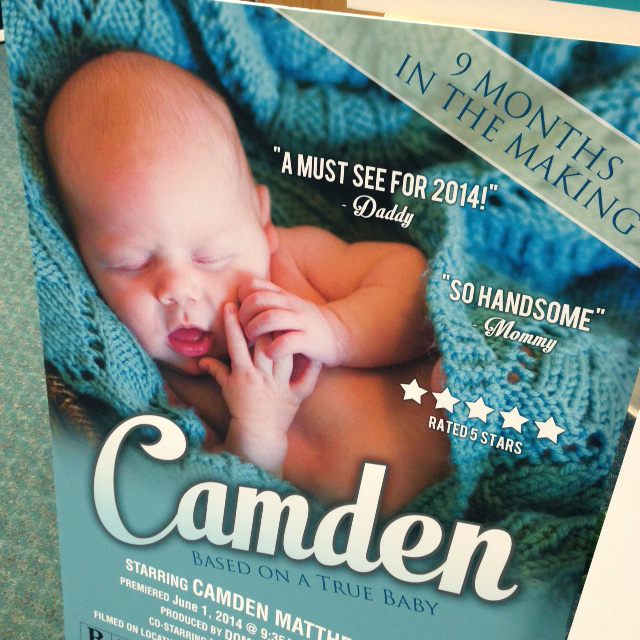 What a unique gift to give a new mom & dad. Here’s an alphabet inspired poster. 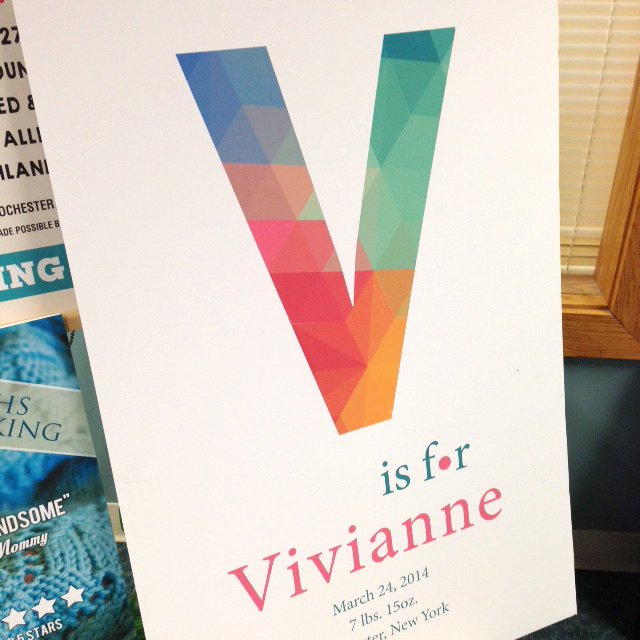 We chose colors to match Miss Vivianne’s nursery theme – so cheerful and sweet!